Exotic Lobsters Caught in Maine | Cape Porpoise Lobster Co. When you order fresh live lobster from Cape Porpoise Lobster Co., you know exactly what you’re getting: delicious, top-quality seafood that will turn any meal into an occasion. However, people fishing for lobster off the Maine coast have found quite a few surprises! Read on to learn more about some of the exotic lobsters that have been caught in Maine. 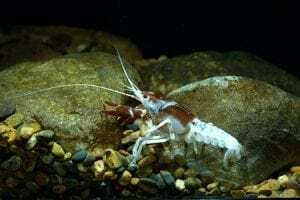 In late August, a fisherman off the coast of Stonington caught a translucent lobster, popularly known as a “ghost lobster.” Ghost lobsters are caught in Maine every four to five years. Their unusual color may be the result of a genetic mutation or an unusual diet. A half-red, half-black lobster was caught off the coast of Vinalhaven. This unusual coloring occurs in one out of every 50 million lobsters or more, according to the Gulf of Maine Research Institute in Portland. Other unusual coloring that’s not quite as rare includes tan, calico and blue. Lola, a lobster living at the Maine State Aquarium in Boothbay Harbor, has five claws on her left appendage alone. Multiple claws on one appendage is a natural occurrence that happens when a lobster molts and signals direct it to grow new limbs instead of merely harden its shell. Sometimes this can be the result of injuries incurred during fights with other lobsters or other sea creatures. What do all of these lobsters have in common? They’re all safe to eat! 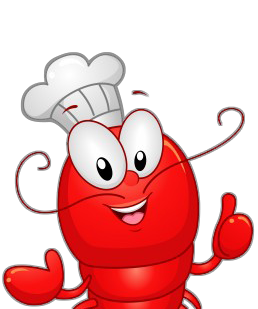 While we don’t have any of the exotic lobsters described above in stock, we do sell highly crave-worthy, fresh Maine lobster every day. Place your order today!